Fishline’s Board of Directors is a governing body tasked with determining strategic direction, adherence to its guiding principles and policies as well as oversight of the organization and its staff. Members are asked to attend a majority of meetings, assist in fundraising efforts and consider helping in other special projects. Ranging from 12 to 15 volunteers, the Board usually meets once a month on the third Monday at Fishline at 6pm. This meeting is open to the public – you are invited to join us to learn more about the role of our Board members and the important work being done on behalf of Fishline. If you are interested in applying for our Board, complete the application form and return it to Fishline. Contact the Board Development Committee Chair with any questions at info@nkfishline.org. 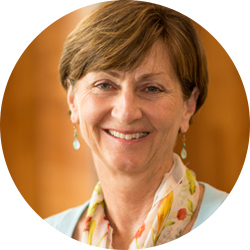 Judy brings 35 years of Healthcare leadership experience retiring from Seattle Children’s Hospital, where she served as Vice President. She continues to provide Healthcare Consulting as Principal of HCHC consulting. 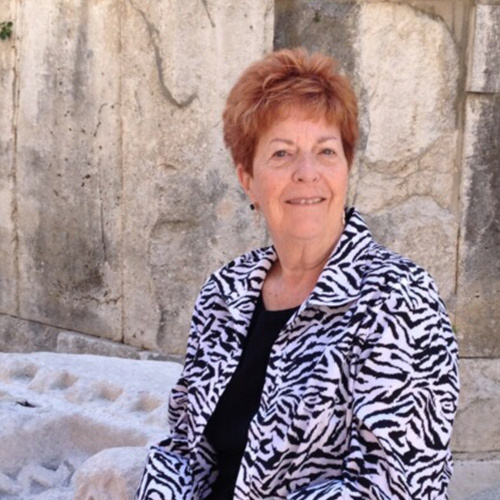 Judy moved to North Kitsap in 2014 and began looking for an opportunity to connect with the community and give back in a meaningful way. She believes Fishline is the perfect match. Becky has been on the Board of Fishline since 2009, serving as the Treasurer for the last 5 years. She has enjoyed watching Fishline expand its ability to offer better food and more emergency help to its clients and has been pleased to be a part of the move to the new facility on Liberty Lane. And the enjoyment will continue with the upcoming warehouse and comprehensive services project which will revolutionize Fishline’s means to help their clients and be a model for others to follow. Becky brings 35 years of diverse accounting work experiences and 25 years of various non-profit volunteer experiences to the table. She and her husband have lived in the Poulsbo area since 1993. Tracy has lived in Washington for the past 9 years after retiring from Amador County, California, where she served as the Agency Director for Health and Services which included Public Health, Mental Health, Alcohol/Drug prevention and education, Children and Adult Protective Services, Emergency Medical Services and a variety of Public Assistance, TANF, Food Stamps and Medicaid Program eligibility determinations. 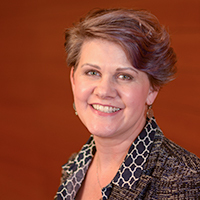 Having been in charge of these programs and services, plus a large staff with diversified educational backgrounds and expertise, Tracy has extensive experience in coordinating with and between agencies, governmental officials and the community. She has served on a variety of local boards and commissions as well as having a leadership role in Statewide professional organizations. Her passion is, and always has been, providing services to those in need. She sees that being a Board Member of Fishline is a way to continue to give back and to utilize her expertise. 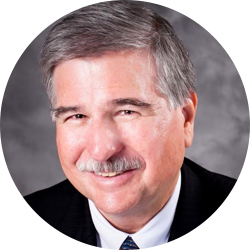 Tom has more than 40 years of experience with startup, early-stage and growth companies. He held senior level management consulting positions with A.T. Kearney, Arthur D. Little, and KPMG Peat Marwick and served as the senior operations officer in two publicly-held technology firms. But his true passion is entrepreneurship and he’s started and sold two software companies, a business service outsourcing company, and a renewable energy company. 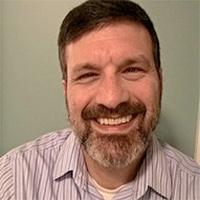 In 2007 he joined the faculty in the Foster School of Business at the University of Washington where he shares his experiences teaching graduate and undergraduate courses in innovation and entrepreneurship. Tom earned Bachelor of Science and Master of Engineering degrees in Industrial Engineering and Operations Research at the University of California in Berkeley. 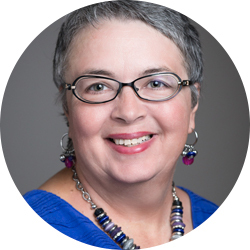 As a former professor in marketing, world traveler and former executive director of Fishline, Karen brings cultural awareness, business sense, a passion for fundraising and relevant operational experience to our board. In addition to attending to her elderly mother, she enjoys spending time with her husband who is also an active volunteer for Fishline. Betty Herman is Principal of Elder Resources, llc and has been serving seniors and their families for the last 30 years. 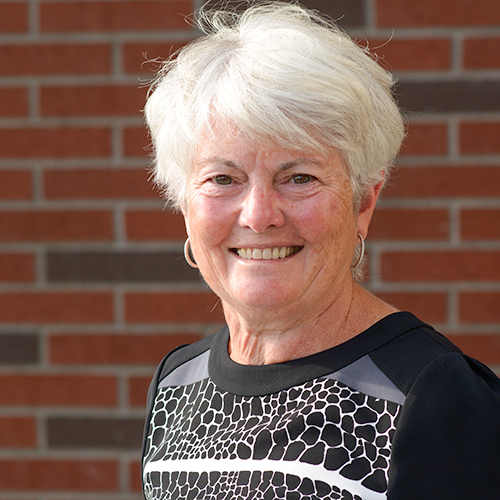 She has served Fishline clients by sorting vegetables, encouraging sales in the Thrift shop and is serving her third term on the Board of Directors. Fishline was her first volunteer activity when she moved here from Minnesota in 2003. 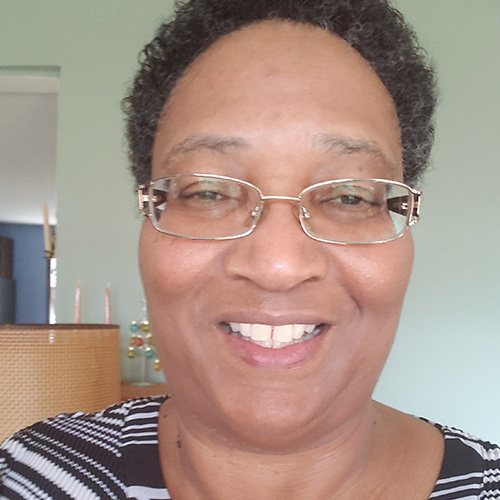 Additionally, she provides connections and guidance to independent seniors living in income restricted housing in Bremerton. 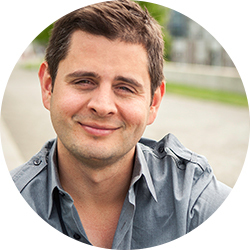 Nick is an expert in marketing and founded Cima Creative in early 2013. Previously at a leading design firm in downtown Seattle for over eight years, he is skilled in all aspects of the branding and marketing experience from print to web and everything in between. He is also a co-founder and the Creative Director of Libro.fm, a tech start-up that gives independent bookstores the ability to sell digital audiobooks. A native Washingtonian, Judy Granlee-Gates has lived in Poulsbo since 1988. She and her husband operate a local small business in the residential construction industry. Judy holds a Bachelor’s Degree in Education, Training and Development and her efforts to educate clients about the construction process have been recognized nationally. She has served on the boards for Habitat for Humanity and Kitsap Builders Association and is a past president of the Kitsap Builders Association’s Remodelers Council and the National Association of Homebuilders Builder 20 Club, and active in the Kitsap Builders Association Build a Better Christmas program and serves on the board of a local non-profit funding cancer research, My Jewels of Hope. Originally from the Bronx, NY, Kim moved to the Puget Sound Region in 1983, and has been a resident of North Kitsap for the past 10 years. 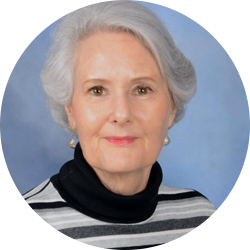 She has over 35 years of non profit experience, and has served in numerous organizations and capacities from case manager to CEO, as well as having served on a wide variety of boards. She is driven by a desire to serve and support in ways that lift up those in need and help build a better community for all. In her spare time you will find Kim hanging out in the park with her nearly 20 year old poodle; developing or testing new technologies; chillin’ with her book club friends; playing a mean game of spades/hearts/dominoes; enjoying the theater; checking out a cool out of town destination. Sharon moved back to Kitsap County after being away for over twenty-six years in 2017. She retired from the U.S. Navy as a civilian where she served at Bangor, WA, Keyport, WA, San Diego, Guantanamo Cuba, Germany and Belgium. She retired from twenty-seven years in Human Resources doing Equal Employment Opportunity and Training ending her career in Mediation. She worked both for the U.S. Office of Personnel Management; U.S. Navy and U. S. Army. She graduated with a BS degree from Southern Illinois University in Adult Education. 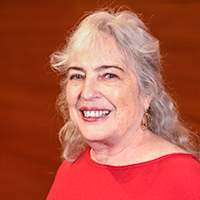 Her past volunteer work includes Patient Council Peace Health, Elected to the Lane Community College Board of Education, Eugene, OR (served as Chair and Vice Chair twice), for eight years, Chair of Siuslaw Outreach Services (serving abused men and women and the homeless) in Florence, OR. Past President for the Seacoast Entertainment Association, Past President of City Club, Florence, OR. She is a certified mediator from Washington State, U.S. Army, Department of Justice and the U. S. Navy. Sharon graduated from the Army Management Staff College in 1999. Michael Philbrick started his career as a veterinarian and shifted to developing veterinary practice management software. From there he gained a wider set of skills in the technology industry. He has 25 years experience in software design, consulting, training and implementation. Michael began volunteering with Fishline in January 2016 with the goal of implementing the non-profit version of Salesforce.com. The awesome staff and admirable mission of Fishline inspired him to join the board and continue his efforts to improve efficiency, reporting and community interaction through technology. Michael is currently a full-time senior consultant for Simplus, a leading Salesforce consulting company. Becky Erickson serves as Mayor of the City of Poulsbo elected in January of 2010 and reelected to a 2 nd term in January of 2014. Before election to the office of Mayor, Ms. Erickson served on the City Council of Poulsbo from January 2008 to December of 2009. Her career spans forty years of senior leadership roles including her last career position as CFO and Director of Operations for Bainbridge Graduate Institute. Ms. Erickson graduated from the University of Washington with a degree in Economics in 1979. 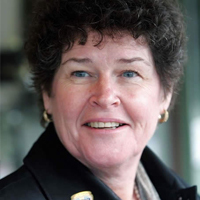 At present, she is the chair of the board of the Kitsap County Health District and the Kitsap County Department of Emergency Management and a board member of the Puget Sound Regional Council, Kitsap Regional Coordinating Council, Kitsap Transit, Housing Kitsap and Kitsap 911. She lives with her husband Jerry on their generational family farm on Noll Road in Poulsbo. For meeting minutes beyond one year old, please contact info@nkfishline.org.